I love that our students and teachers can use their Google accounts to sign into many different services. It’s fast and convenient. However, it does make you vulnerable to someone else easily getting into your accounts… on purpose or not. At my school, several classrooms have started using Seesaw, an online student learning journal that allows for students to share and reflect on work with the teacher, classmates and families. We have many types of devices in our building, and Seesaw is accessible via the web on a computer or Chromebook as well as through its own app for mobile devices, like iPad. We are not 1:1, so students share devices. Therefore, it’s important that they understand and follow responsible user expectations, such as signing out completely from accounts and staying out of other people’s files. Recently, when I was assisting a fifth grade class in its first time using the Seesaw app on iPads, I demonstrated how to sign in using our Google log-ins within the app and then showed students where the log out was located in Seesaw. As usual, I took the opportunity to talk about our responsibilities and being good, respectful digital citizens at our school with our devices. Interestingly, during the work session, I needed to log in again to the app and noticed that when I chose to use the Google sign-in, it took me to a window that already had my username. When I clicked on it, I was logged right in without having to enter a password. This action was very concerning to me and the teacher of that class. I even voiced my confusion to the students that the device was holding onto my log-in, not something that we want happening on shared devices. I told them we would log out of Seesaw today in the manner demonstrated, but stay tuned for a better solution to avoid this potential problem with Google. Thus, my investigation began back in my office. Remembering that a Safari window had popped up for me to log in when I was in Seesaw, I opened the Safari app on the iPad and went to google.com. On that home page, I could see that I was logged into my Google account. Previously, I knew that I had not been signed in here. I signed myself out of Google and even removed my account (the protocol I teach students in a shared device environment when we are using a web browser). I then opened the Seesaw app and chose to use my Google account to sign into that app once again. The window popped up, but this time it did not automatically log me in. It was blank, and I had to enter my username and password completely. Just what I wanted on a shared device! Next, I took an iPad off our cart and opened Seesaw. I made sure it was an iPad that had been used by a student in class that day. I chose the Google sign in within the Seesaw app, and I was never prompted to enter my credentials. Instead, I went right into that student’s Seesaw account. During that class’ session to emphasize the importance of signing out of any app, I had each student check in with me during this stage. Therefore, I know that this student really had signed out of Seesaw, yet anyone now who came along to use the app after him was able to log right into his account via the Google sign-in. More experimentation took place. I didn’t log-in or remove the account, but went back to the Seesaw app and tried logging in with Google again there. I was given his username, but would have to enter a password. I assume that if I had removed his account from the Google home page that everything would have come up blank. My conclusion: users will have to go to Safari after logging out of Seesaw and sign themselves out of Google. The bottom line is that when you log out of Seesaw, you are ONLY logging out of Seesaw. Google account information is not being removed unless you manually do it, leaving a user susceptible to others accessing his/her account and files, possible even with other apps that use Google. I have discovered that this issue also exists if you are using a web browser access for Seesaw on a computer or Chromebook. The one exception is if a Chromebook is set up for a public session, then as soon as the Chrome browser session ends, all data is wiped. In other words, the next user on a public session will not be able to access someone else’s account. A good thing. I did a little Internet search to see if there was a less cumbersome solution than remembering to go to google.com to log out. Unfortunately, Seesaw did not have any information in its support center. 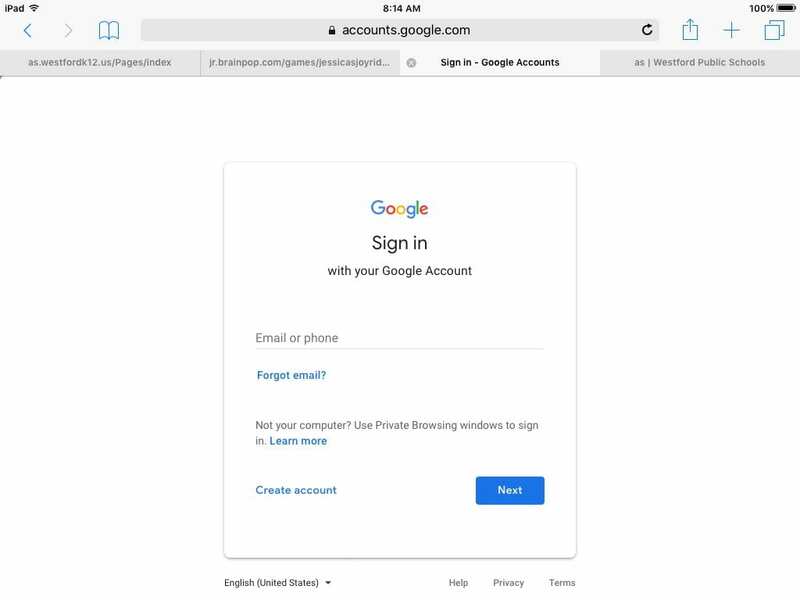 I did find a video (from a teacher not affiliated with Seesaw) about clearing out Google accounts on iPads that was eye-opening. I couldn’t believe how many accounts could be stored and accessed in Seesaw… a big challenge in a shared device environment. Watch below. In this video, the students were signed out (as indicated below their names), but the usernames were present (probably because they were not removed as he explained as a method of cleaning up a long list). 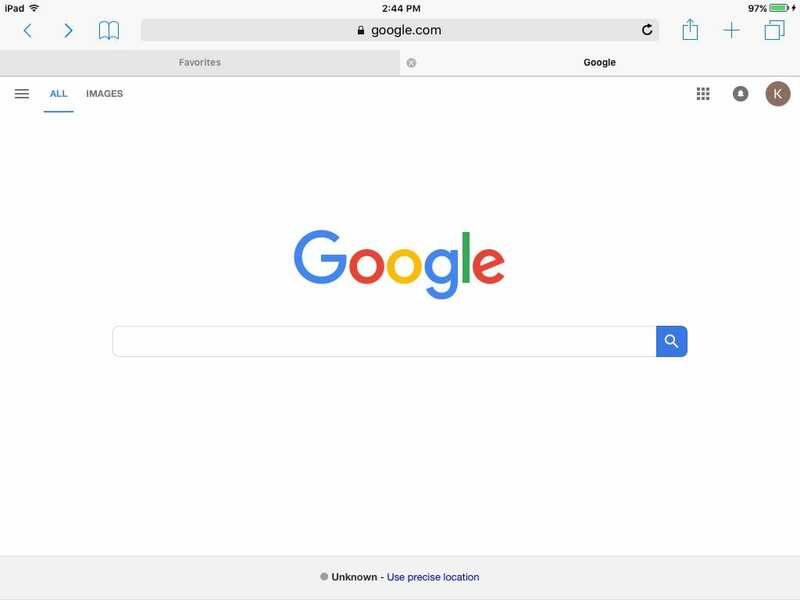 I wonder what would happen if students never were signing out of Google via Safari on the iPads because they did not realize that they needed to? Would all of the accounts be signed in and accessible to anyone who came along? The next day, I tried this scenario out, and sure enough… I got into several accounts. I discussed this matter with another teacher who told me that they were using the Email option in Seesaw, not the Google option. 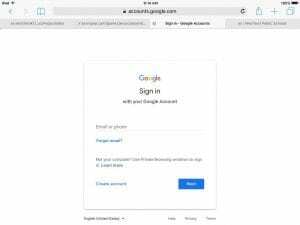 As I was shown, with the Email option, you still type in your Google username and password, but it does not log you into Google as well. When the students signed out of Seesaw, and we went to google.com via Safari, there was no trace of the student. Score! Strangely enough, I had tried to log in with the Email option the day before, but it would not work for me. I had assumed that it would not work for students as well. My next move was having a fifth grader from the original class to try the Email option to log into Seesaw. The result: he also was unable to log in this way. Hmmmm… why can one of our third grade classes do it, but a fifth grade class can not? This is getting much more complicated, and requires me to reach out to find out what is the difference in these users/accounts. In the meantime, I know that Seesaw does allow for QR code access, and that some teachers prefer this method for students. I have been a proponent of us using our Google accounts because our students know their log-ins and with a little practice are quite quick. It’s a great way for them to understand the process, too. Of course, now, I can see yet another reason for young students using the QR code access: to avoid the Google sign out issue. However, I don’t think I’m going to recommend that at the grades 3-5 level that we be deterred. I think there is a lot of value in teaching the need to be concerned about your account security. I just wish there were prompts within the app itself to remind the user and fewer steps that I know will be a challenge for anyone who is in a hurry to move onto the next task in the classroom. Please take this as good awareness of our other services we use that are linked to Google sign in. Thanks for reading about my trials and tribulations… I know for some this may seem like something to not worry about in an elementary school, but I think it’s a necessity to be mindful of security and to teach good habits for our digital world. Good problem solving. I hope the district can figure out why one grade level’s accounts are set up one way, while others are set up a different way. Stacey, I think we are going to have to contact Seesaw directly to figure this one out!